The latest CAWCR Annual Highlights brochure has just been released. 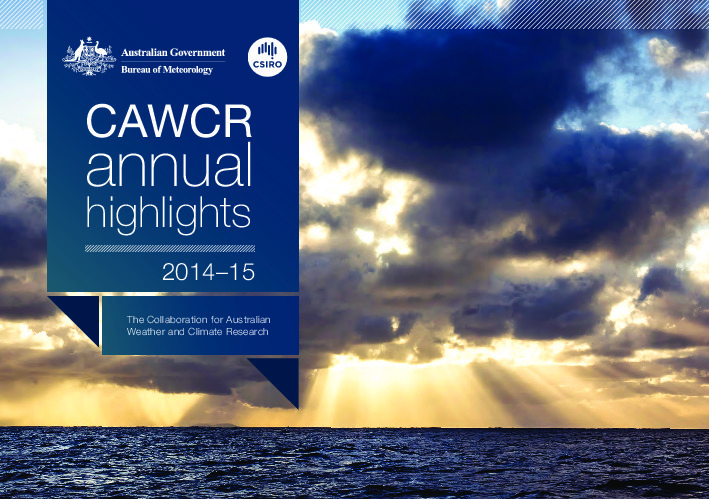 This report highlights the achievements of a selection of CAWCR’s research projects during 2014–15. It focuses on practical outcomes of the projects, rather than their scientific outputs. The second part of the report describes the impacts over years of some of the longer-running CAWCR programs and projects. This is followed by a description of awards won by CAWCR staff during the year. Please click to access the brochure.